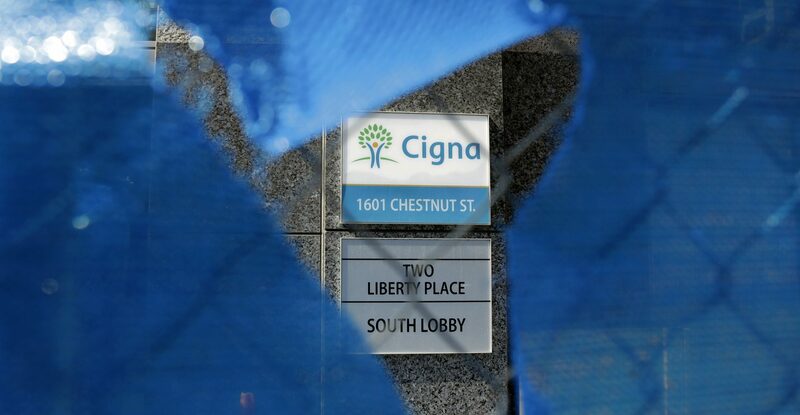 The Cigna logo is seen behind a construction fence, Friday, March 9, 2018, in Philadelphia. "This is a government program for some of the poorest of the poor, and no one should be making a profit on it to that extent." (Harrisburg) — For every prescription filled, a company such as Express Scripts, CVS Caremark or OptumRx processes the payment between the pharmacy and the insurer–taking a cut for each transaction.